It’s Holiday Time at Disneyland Again! – What’s Going on in 2015? Today the holiday season officially started at Disneyland! By far the best time of year at the park, there is LOTS to do…and lines galore. It was unseasonably hot, even for Anaheim, on this first day, but the Christmas spirit was still alive and well. Decorations adorned the streets, the HUGE Christmas tree laden with decorations was up, and the holiday attractions were running full steam. The theme that is carried through the park is “60 Years of Holiday Magic” which fits perfectly with the 60th anniversary celebration that is still ongoing at the same time. The castle was beautifully decorated with wreaths and ornaments reflecting the 60th anniversary colors – a blending of both celebrations. Love how Disney theme continue even in the wreaths! Can you tell which ones go where? 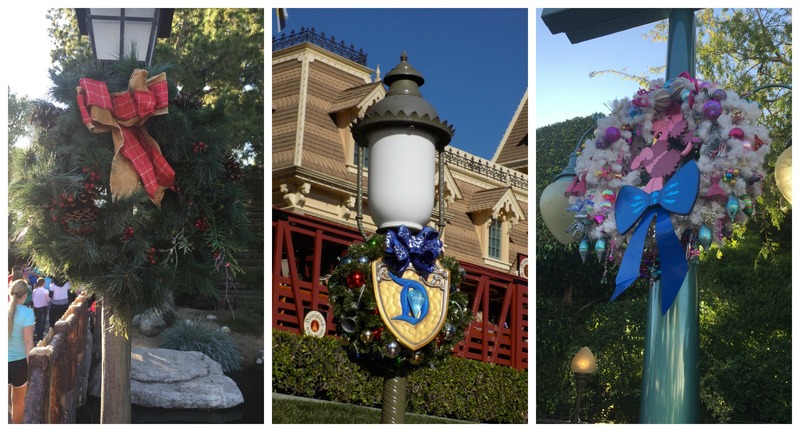 One land doesn’t have any wreaths – Adventureland! Holiday food items are in abundance with a detailed list over at the Disney Parks Blog. For myself, I always get a Mickey Mouse Gingerbread cookie (which wasn’t listed on the blog) over at the Candy Palace. They are nice and soft while still firm and have just the right amount of gingerbread taste – not too overpowering, but definitely a holiday cookie. I often stop by Rancho del Zocalo for the Tamale and Enchilada plate – yummy. And in case you thought only Disneyland had holiday offerings, don’t forget to stop by the Boudin Bakery in Disney California Adventure for some Christmas Tree and Candy Cane shaped bread (Dec 18 – Jan 3 only). That is just a very, very small sample of the delicious items you’ll find only during this season. 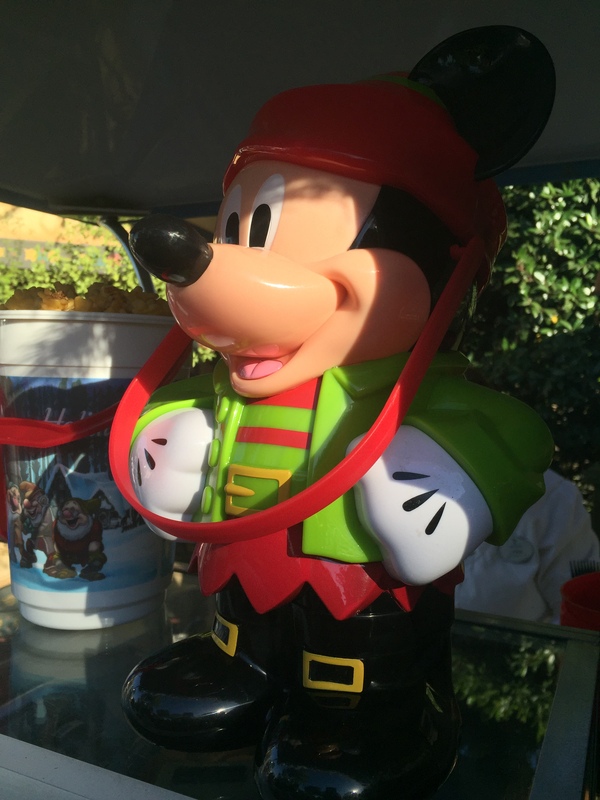 Holiday popcorn Mickey! So cute. Speaking of candy canes, the dates were given out today when they would be available so make your plans early. They run out every morning that they sell them. Take my word for it. Every morning. You can read all about it on my updated post on the Disney Nerds blog. Totally worth it though. They’ve also announced the dates for the Candlelight Procession for 2015. This year it will be on December 5th and 6th with two shows nightly. This is another holiday event you need to plan for, but it is so amazing and spectacular, it’s worth it. If you’re planning on seeing it, the Disney Nerds blog has some great tips to make sure you get a good view of it so be sure to check it out. All the holiday rides are up and running. 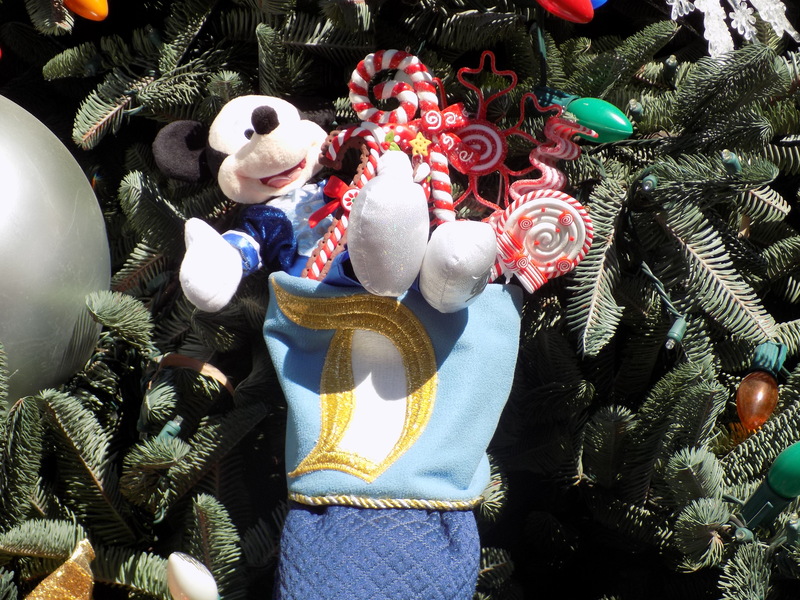 Haunted Mansion Holiday, Jingle Cruise, and of course the seasonal fav – It’s A Small World Holiday. Expect longer than usual lines for each so be sure to get there early. Yes, even for the Jingle Cruise which today was using the queue on the second deck above the docks. Don’t be too intimidated by the It’s A Small World line. Even though it is super long, it moves quickly and you can see the whole line from outside. Would you like a way to bypass the lines AND see the spectacular Christmas Fantasy parade? 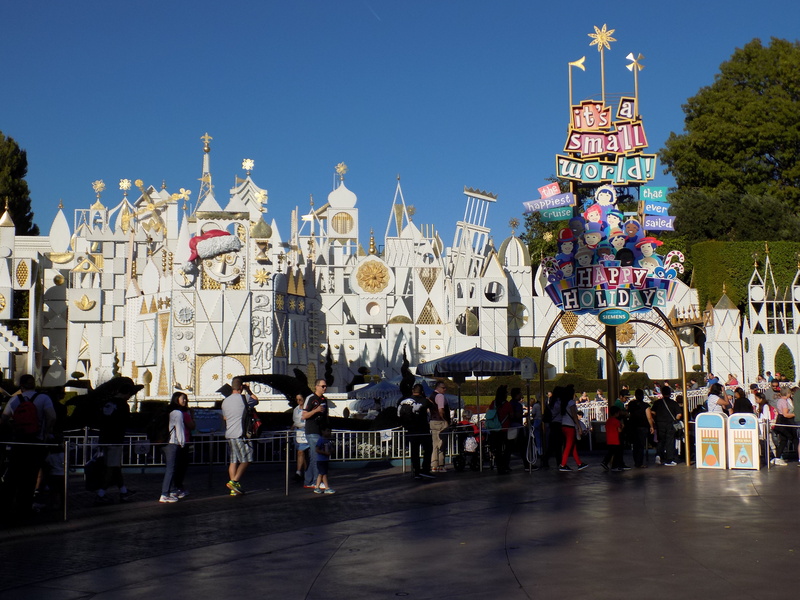 Book a Holiday Time Tour at Disneyland! 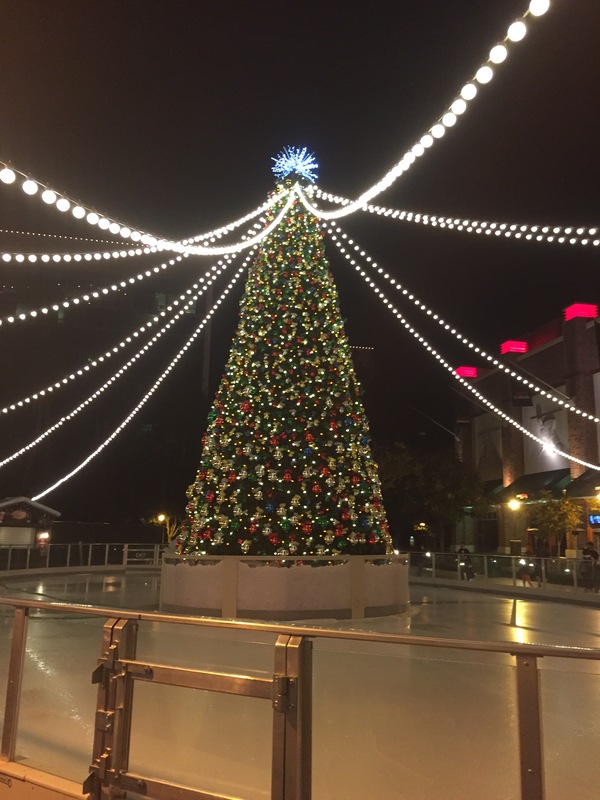 If you happen to be wandering through Downtown Disney, don’t forget to check out the ice rink near ESPNZone. Yes, an ice rink! You can skate here and shop at the same time. They’ve brought some great pop-up shops for this area, too. Disney has dubbed this the Winter Village and along with the skating they have great vendors like Ghirardelli who sell a limited selection of items but all centered on the winter holiday theme. As you can imagine, Ghirardelli will be selling hot cocoa, but also sea salt caramel hot cocoa and brownies, too. Duncan Yo-Yo is one of the vendors and there is a little gift shop simply called Disney Winter Wonder. There are other pop-ups also so check it out if you’re taking a break from the parks. With so much to do, it’s tough to do it all in one day, so pick your favorites and make sure to enjoy yourselves! Merry Christmas everyone!